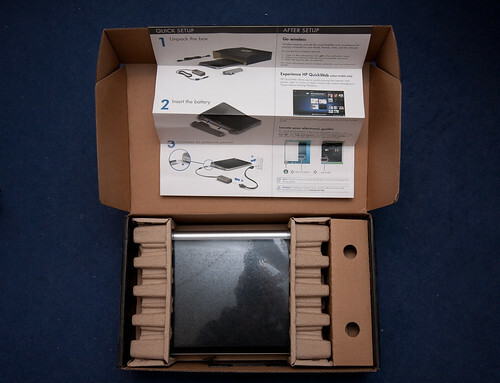 Ok, if I am told to review a webcam built in to a laptop, the people asking the question must think something of it. Well, in the bluntest form, it is really not that great. The humble 640x480 resolution is disappointing; it takes me back to when mobile phones first had integrated cameras. The HP webcam software does include a load of different customisations and features, so you can take photos of yourself wearing ridiculous hats, or in front of the Eiffel Tower. This is a fun feature to see, however I am no longer a 12 year old and I rarely use a webcam anyway. I also took a video and spoke over it. The audio sounded pretty good, until I started typing. The microphone picked up the sound of typing and so it sounds as if I’m typing really heavily and covers the voice a bit., but nothing to different to other laptops. Ok, and now to sum up how the netbook has been over the last few weeks. First of all, I generally use my desktop with dual screens for raw power while I do have a 15” Dell laptop which I take in to uni but don’t use that much. The keyboard was really easy to type on, I was surprised. The screen resolution was decent too but the touchpad was quite difficult to use. The battery has lasted about 5 hours each charge. It is nice knowing I don’t need to always carry the charger around with me unlike a laptop. Furthermore, I’ve given out the laptop for other people to use, from just having a nosy around and browsing to shooting tethered in a photography studio hooked up to an external monitor. 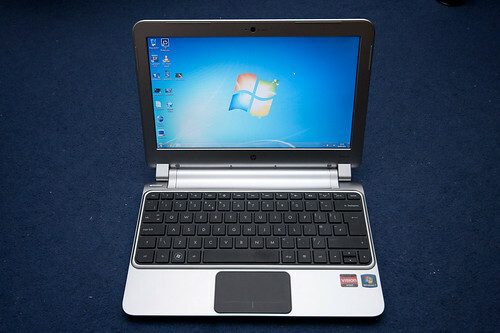 Yes, netbooks have moved on and I was surprised how well it coped with HD videos and rendering photos. But I still don’t think I would get a netbook myself. It doesn’t quite have the power to remain fast all of the time, unlike a laptop but it does have the portability and battery life advantage. Also, at £350 it is quite a lot. 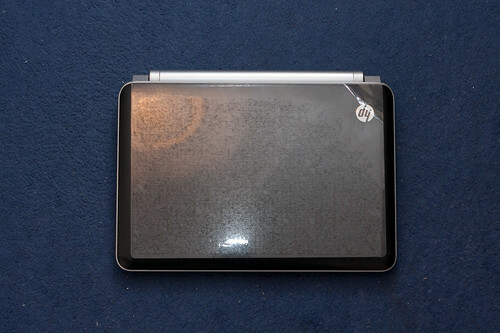 You could pick up a half decent laptop for £400, for example. Therefore, if I were to purchase a new portable device, I would probably look away from a 15” laptop to an ultraportable, maybe something around 13”. This task was quite open ended so I tried it out on a few things. TL:DR- There were some issues playing HD content with video becoming choppy, but normal content should be fine. Firstly I tried playing a couple of .mkv files in VLC media player. I have a copy of the Top Gear Middle East Special, which is 720p and played perfectly well in a window and full screen. This was with mains power and the power settings on High Performance. I also have a 720p Family Guy Special episode, which again worked fine. However if I unplugged the mains, the netbook changed power plan to HP Recommended and the video instantly became choppy and unwatchable. Next up I ventured on to Youtube and did a search for “HD”. I decided to try and play the TRON: Legacy film trailer in 1080p (http://www.youtube.com/watch?v=L9szn1QQfas). First time I tried this, it wouldn’t play full screen. When in 720p, this was fine in window mode and acceptable full screen, although there was some slightly judderiness to the video. I tried out some HD videos on BBC’s IPlayer. First HD programme I could find was ‘Made in Britain’. In both window and full screen mode this suffered the same slight judderiness as Youtube on 720p. I left the recommended videos to last, just in case these were any different to real word use (such as TV shops showing uber awesome HD footage that works particularly well on that set). A link to an IMAX HD clip was provided (http://www.youtube.com/watch?v=Ou6_MkIvKOo), which suffered the same problems as TRON. There was also an Adobe Flash video (http://labs.adobe.com/technologies/flashplayer10/live-player/). This worked fine full screen and looked awesome. At the end I went back to Youtube and TRON and it appeared to play full screen. Maybe the moral of the story here is that it will play 1080p, if you are doing nothing else at the same time. I previously mentioned in a previous review that I used Adobe Photoshop Lightroom to render some photos. It was not the greatest, the overall speed of the application was quite slow on the netbook and netbook screen itself didn’t have the best colour reproduction while it did have a decent resolution for the size of the screen. Games wise, I haven’t time to try any games, but if I do I’ll make a post. When I first saw the subject of the review I immediately thought I’m going to find it difficult to find much to say. 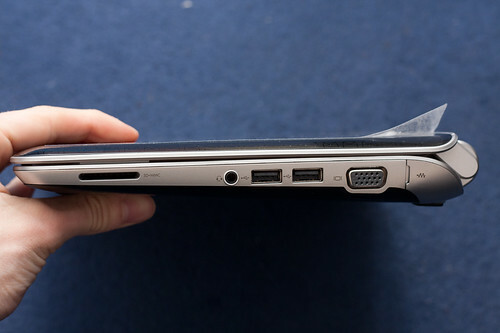 After all, it is a netbook and common sense tells me it will be portable. Anything below 15” I would classify as something you could move around. The decent battery life does mean that if you plan to use it for less than 5 hours, you won’t need the charger. That is some bulk lost. I took it outside to test the wireless and the screen. First issue- OMGZ glossy screen. As with all glossy screens the visibility in bright light is terrible. I don’t know why manufacturers still use it. As for the wireless, it seemed to pick up the signal ok, nothing uber strong, but probably fine with what you’re used to. As an aside I’ve used the netbook with my HTC Desire S acting as a wireless hotspot and that worked well. If I were buying a netbook, I would definitely like to see it before purchasing it, to get a feel for the size, weight, keyboard and screen. Yes, you could be plastered with numbers but you won’t get a real sense without seeing it. You will also get a chance to type and check out the screen, which play a high role in something you are going to be carrying out and about. As mentioned somewhere in another thread, the clicklet keyboard is good to type on, despite the small size. Finally, I’ve been using it quite a bit this week. I’ve been rebuilding my desktop and checking out webpages / guides every now and then on the netbook. It has been nice being able to wake it from sleep, use it, then put it back to sleep, without having to think ‘is it going to run out of battery / do I need to charge it soon?’. As a regular poster on a student forum (The Student Room), I was kindly invited to take part in a netbook review on behalf of AMD. Six members of the forum were given netbooks to review over a few weeks, with each week concentrating on a different area. The first week was battery life- read on for the review. After charging the battery and booting up, the battery meter showed 4 hours 47 minutes. I started using the laptop with the screen on full brightness and WiFi on. First instincts were the range of bloatware HP crammed onto it, so I spent some time removing unnecessary programs and rebooting etc. After 1.5 hours, of this light usage, the battery meter was at 3:14 (52%). Next day I booted up and ran Adobe Lightroom. I imported a load of RAW files and set it to render full resolution previews for an hour, then returned to light usage. At this point, there was still an impressive 2 hours (38%) left on the meter. After another hour of light usage, 20% of the battery was left. Then I played a standard definition video on iplayer (non fullscreen) and after 25 minutes I’m down to the last 10% of battery. The netbook finally hibernated at 5% battery level after watching a further 12 minutes on iplayer, bringing the grand total to 4 hours 40 minutes. Not bad for a netbook that I carried out a range of different programs on, from light web browsing to image rendering. On more general notes, I’m not a fan of the touchpad. The buttons are in the same surface as the touch area, they still click to press, but any slight hovering of a finger over the click area causes erratic movement of the cursor. Therefore for most of the above tests a usb mouse was connected. It was however nice to see the Ctrl and Fn keys are the correct way round. On the F keys are the usual secondary function keys. HP decided to make these default in the BIOS, meaning Alt + F4 becomes Alt + Fn + F4. This was quickly changed back to normal. The keyboard did lack a few keys I like to use, such as the Page Up, Down, Home and End keys. The range of ports include: 3x USB, 1x HDMI, 1x VGA, headphone/microphone, SD/MMC card reader and an Ethernet port. 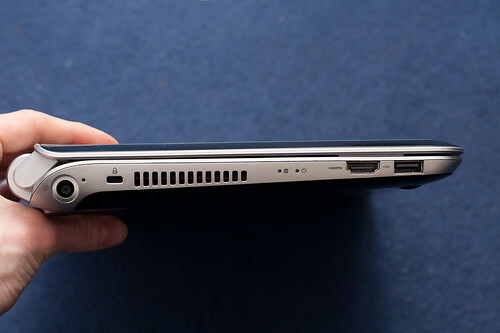 The Ethernet port is located on the rear corner of the netbook, under a tacky plastic cover and at an angle. Not particularly classy, but it is gigabit LAN (something that is missed on cheaper computers) and the wireless was wireless N. Apparently there is also Bluetooth connectivity, but I haven’t tried it. Hard drive is of average to decent size for a netbook, 320GB. This will be fine for most users, but those expecting speed and better portability from their netbook may prefer an SSD. 3 GB RAM is again, average which leads me on to the OS. The netbook can support 8GB RAM, yet HP have decided to install a 32 bit OS. Screen has a decent resolution for an 11” screen, 1366x768, however for a photographer the temperature is a bit cool by default. Speakers pack a decent punch at full volume, with little distortion but with all small speakers are lacking bass. 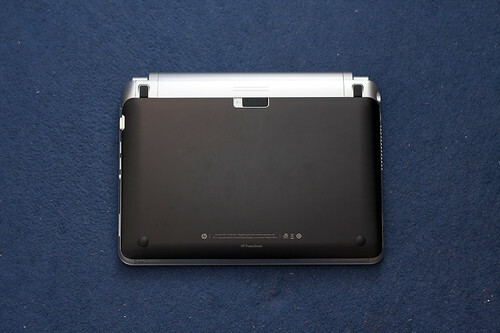 The speakers are situated in the front edge of the netbook below the touchpad. Heat dissipation is fine, after rendering the images it wasn’t that hot, which may be due to the fan which may be a touch noisy, but not the loudest I’ve heard. And on a completely unrelated note, there were files in the Downloads folder.